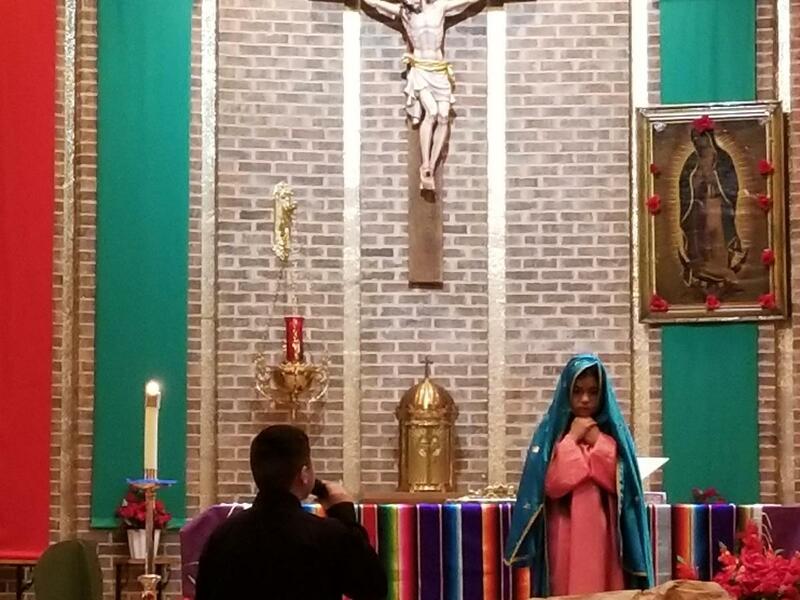 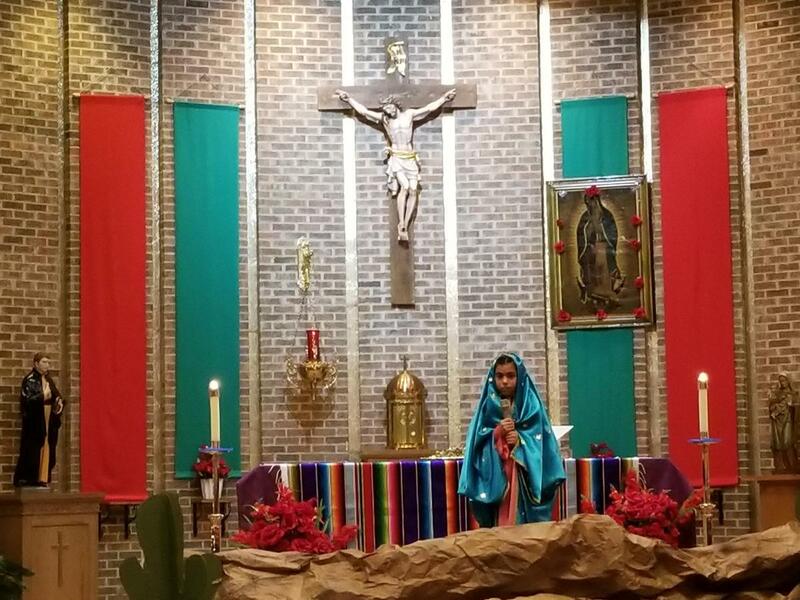 Our PK3 to 8th grade students celebrated the Feast of Our Lady of Guadalupe with a reenactment of Our Lady of Guadalupe to Juan Degio that led to the building of the Our Lady of Guadalupe shrine in northern Mexico City, Mexico. Eighth grade students danced and offered roses. 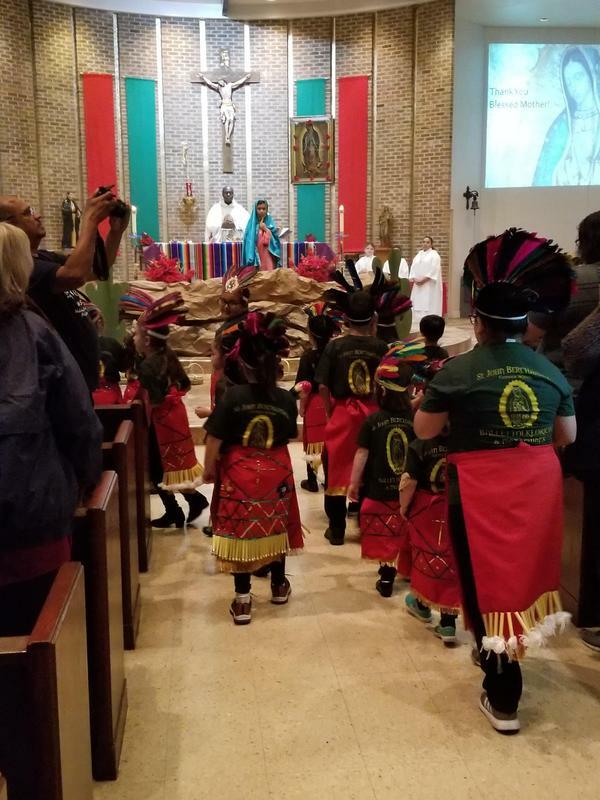 Our PK3 and up students dressed as matachines and danced to Our Lady of Guadalupe. 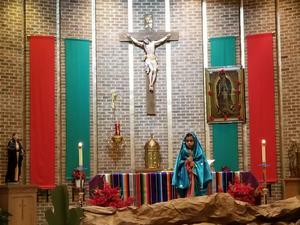 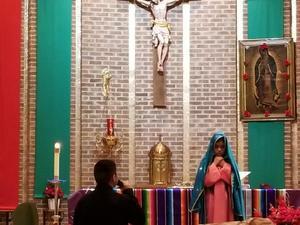 In closing a beautiful song was serenaded to la Virgen de Guadalupe. 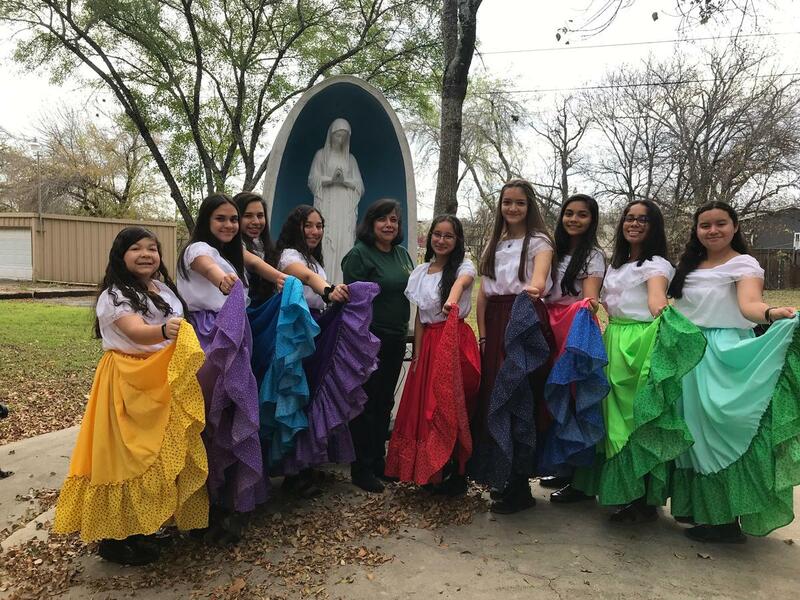 Thank you Ms. Carrera, faculty, staff, volunteers, and parents that worked very hard to put today's celebration together!